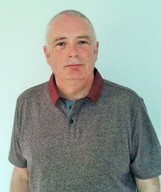 Hello, I am Ian Black, Counsellor and Therapeutic life-coach providing affordable counselling in Bury St Edmunds and surrounding area. In addition to my Diplomas in Therapeutic Counselling and Fusion Therapeutic Coaching, I am a Relate trained and Qualified Relationship and Couples Therapist. A Member of the British Association for Counselling and Psychotherapy BACP; I am on the BACP Register of Counsellors and Psychotherapists, which is accredited by the Professional Standards Authority for Health and Social Care. While I provide counselling support, whatever the area of concern, my therapeutic approach means we will work together to help you deal with life's issues, I also offer coaching and guidance. Some people want a little more from their counsellor; maybe a way of achieving goals, or focussing on the future. For this I offer a bespoke coaching programme comprising six sessions incorporating counselling, CBT and goals-focussed coaching.